This stone bridge was built in 1554 by Valentin Staudinger. 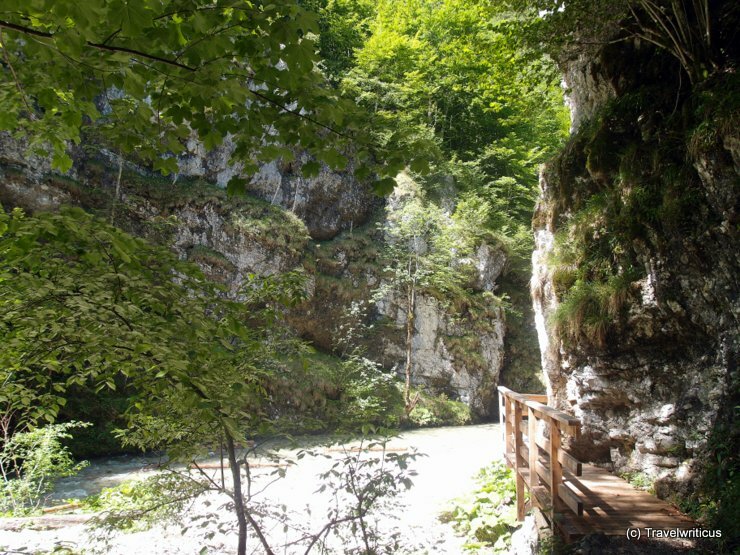 The bridge using a rock in the middle of the river is considered to be the oldest still existing bridge crossing the Erlauf river. 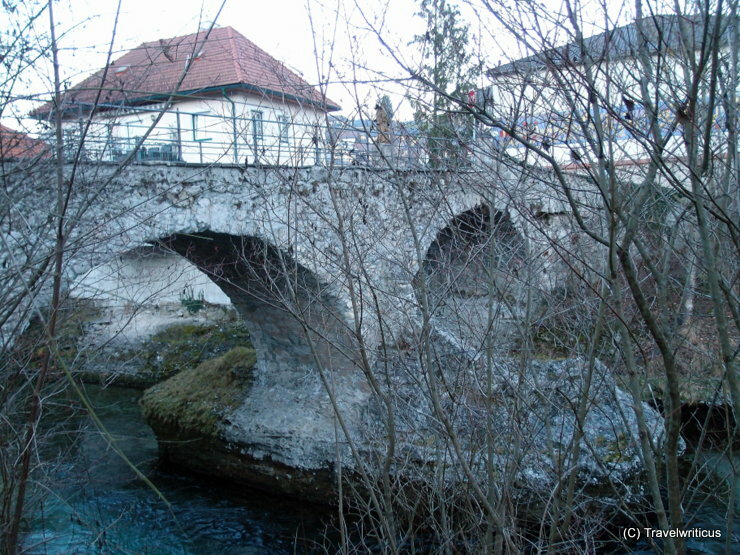 The name ‘Roman Bridge’ (Römerbrücke) for a 16th century bridge is odd but there is an assumption that the Romans used the same rock as base for their bridge. 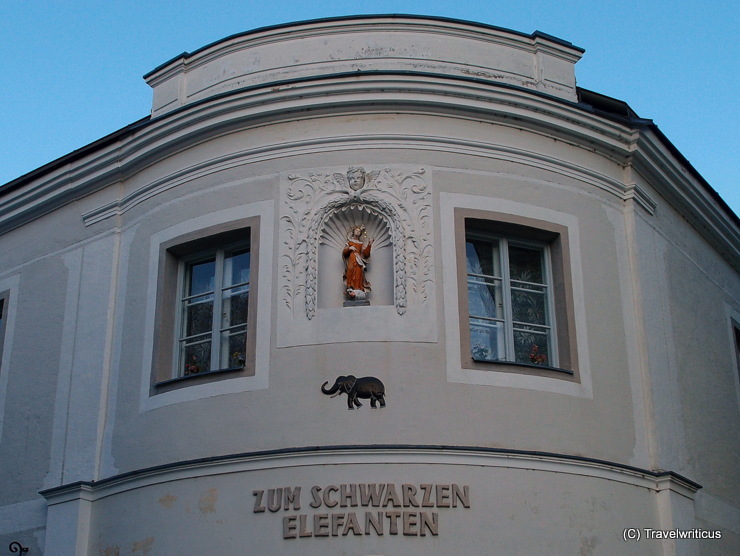 Inn sign of the Black Elephant inn (Zum Schwarzen Elefanten), an inn which was first mentioned in 1541. 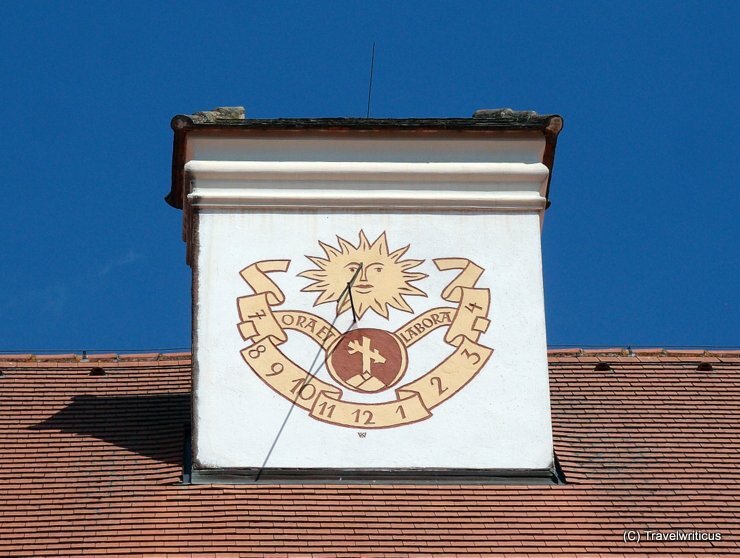 The museum of historical targets displays a collection of target boards (Schützenscheiben) dating from 1670 up to 1941 used by the local rifle club (Schützenverein). 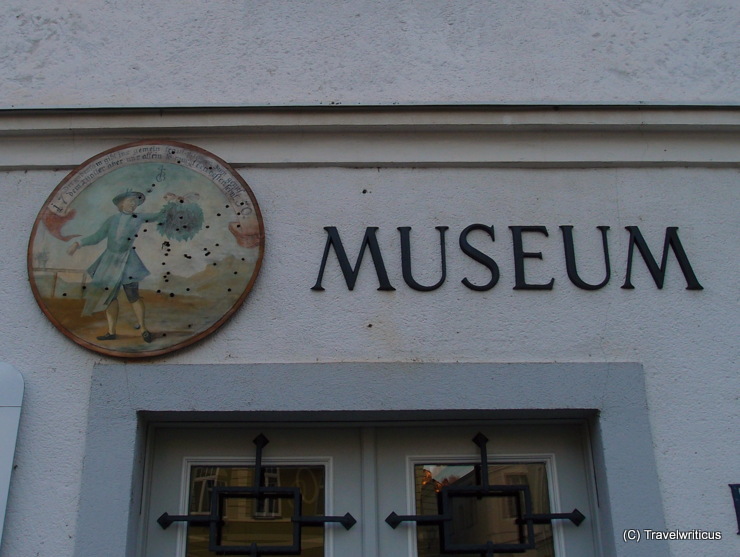 In general, these boards display scenes of daily life, local events and even important persons of history. After staying a night at the former Zell Manor I came across this castle on my morning walk. It is generally known as Rothschild Castle (Rothschildschloss) since it was rebuilt in the style of neo-Gothic by Albert Salomon Anselm von Rothschild. 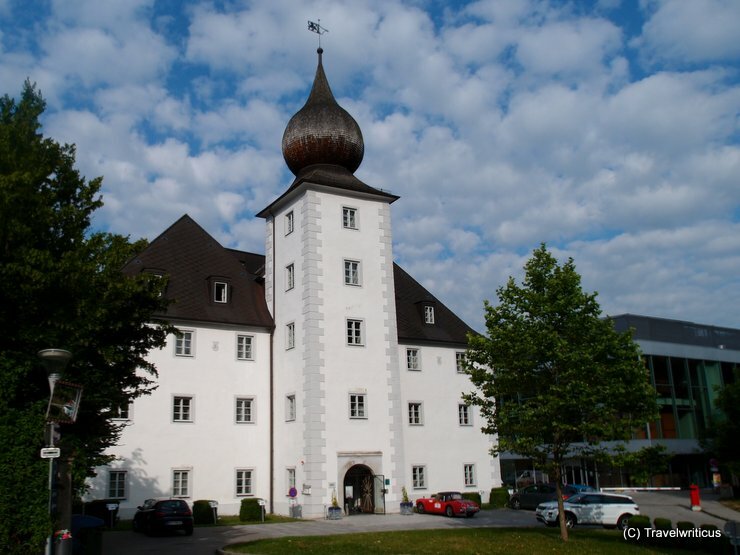 The former Zell Manor (Schloss Zell) serves as hotel with the name “Das Schloss an der Eisenstrasse” now. 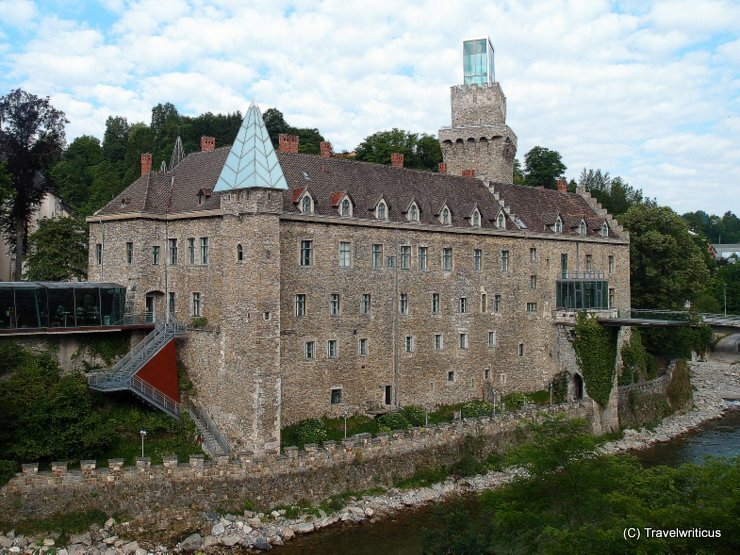 I spend a night at this building in the style of early Baroque and was especially impressed by staying that near to Rothschild Castle (Rothschildschloss) and the old part of Waidhofen/Ybbs. At the theme park Mendlingtal there is a chance to watch log drivers at work. 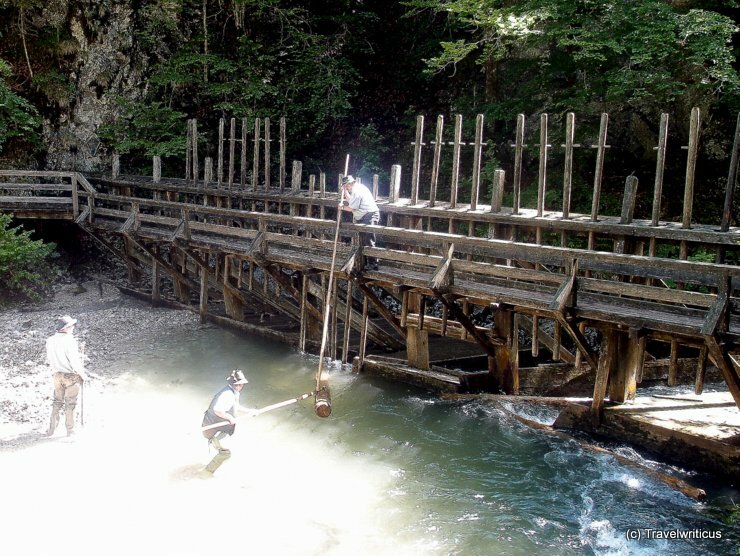 At the photo above some workers are trying to put the logs through the last weir before the logs will arrive the timber mill. Everybody knows the scenery of American Old West. Can we see anything similar in good old Austria too? Sure! 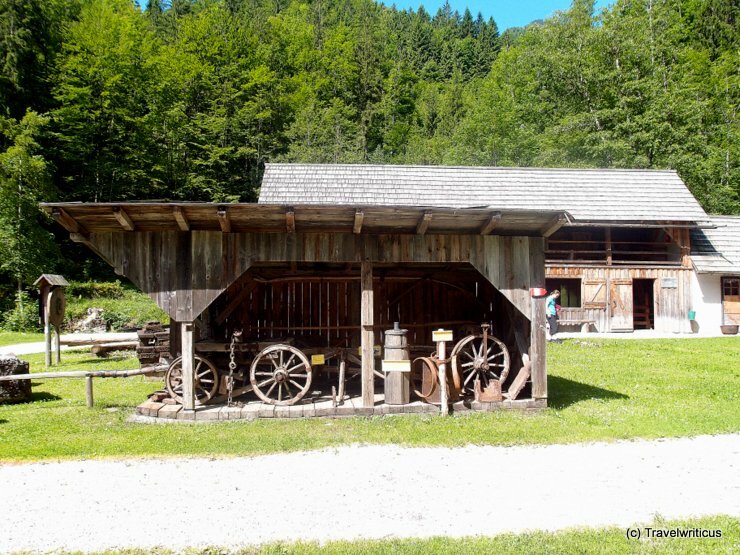 The photo shown above was taken at a theme park in Mendlingtal Valley in Mostviertel. The park is all about logging in earlier times. The building in the background is housing a Venetian saw dating back to 1907. At the theme park Mendlingtal the former building for the young blacksmiths (Schmiedegesellen) serves as museum now. 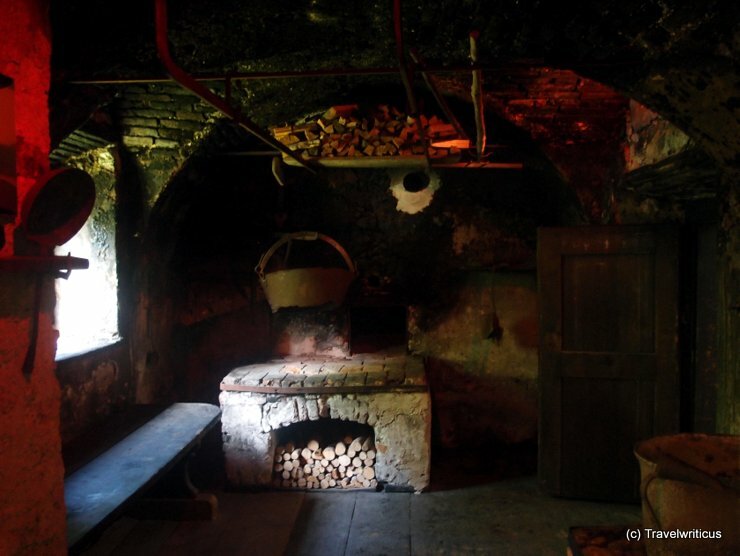 Inside one can learn about the life of the blacksmiths, woodcutters and the owners of the hammer mills named Hammerherren.